As I mentioned in my last post, Love, Cats, and Cacti, my husband and I are expecting our first baby after many obstacles. Although I may be young, I am still a woman. I am a woman who faces the same doubts and fears many women face, but are too scared to share. In 2015 I married my best friend and graduated college with an art degree. My husband and I decided to start trying for a family, except we knew we wouldn’t be successful without assistance. In Vitro was something I heard about through stories like this, people who were willing to talk about what they went through to have a family. I otherwise had no idea what In Vitro really was. We searched, and read, and searched some more about the best doctors, possible procedures, and of course expenses. January 2016 we blindly dove face first into this unpredictable journey to have a baby. We shelled out a ton of money upfront and answered the question Are you sure y’all are ready to have kids already? a million and one times. We ended up at the Fertility Institute New Orleans with the best doctors we could’ve asked for. 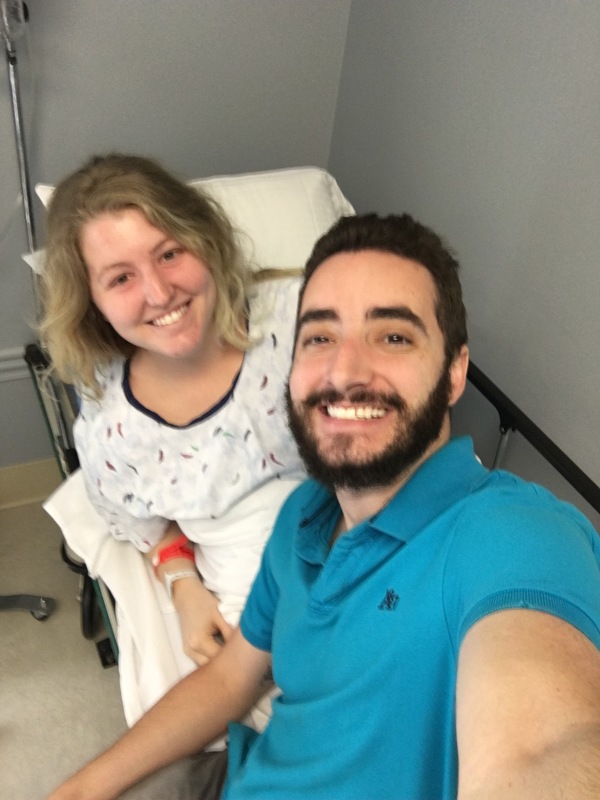 Bryan saw a Urologist who started him on clomid to help increase his FH and LSH levels to prepare him for a MESA/ TESA procedure which was the first step to see if we would be able to have a baby that could be our own. 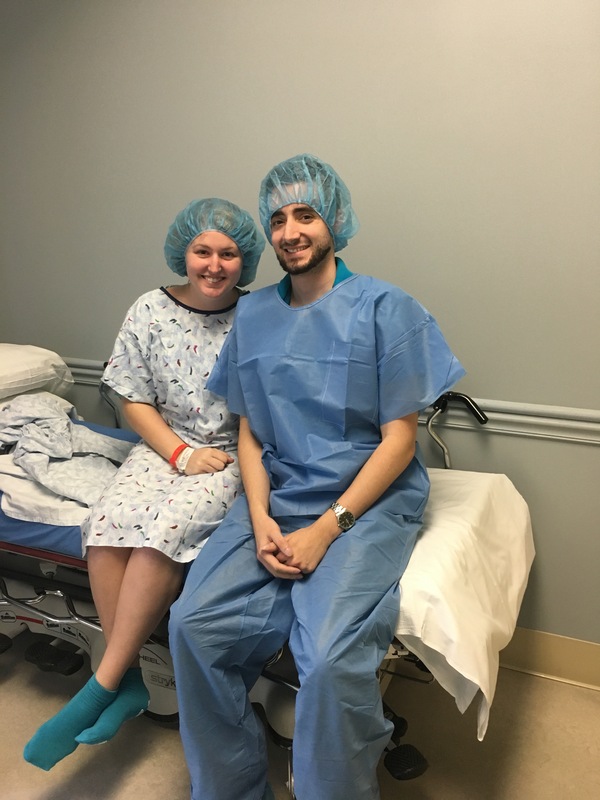 In October 2016 for our one year anniversary, we celebrated Bryan’s successful procedure and our first glimpse of hope that our journey would end with a baby. Meanwhile for me, that entire year was spent going to an infertility doctor and taking countless pills (not just orally), painful injections and wear multiple hormone patches week after week to make my body produce enough hormones to be a suitable house for our baby to live in. By November 2016 my eggs were ready to be harvested. The egg retrieval was so successful they harvested TWENTY-NINE eggs. Yes, 29! The amount of fluid in my abdomen was so great, I looked like I was already five months pregnant. It took weeks for me to recover, even though my doctor said most women go back to work the next day. Our next step was to wait; wait and hope that the eggs would be graded high enough to be viable. Our total number of mature eggs that made the cut was 18. As incredible as that sounds, after the next steps of fertilization we lost all of them except 8. The doctors had to do an ICSI procedure to fertilize the eggs which could have caused the embryos to have deformities that wouldn’t pass as viable. After we had our 8 little baby embryos, we decided to throw more money into making sure we would have the best chance possible of success by choosing to have them genetically tested. Again, our number dropped from 8 to 4. The best news to us from our final number of healthy embryos was that we had two boys and two girls. When the time came to do the embryo transfer, we had to sync all of my injections and medicines, I was still taking through all of this, with my period to mark the date of conception. January 2017 was the best month of our lives. 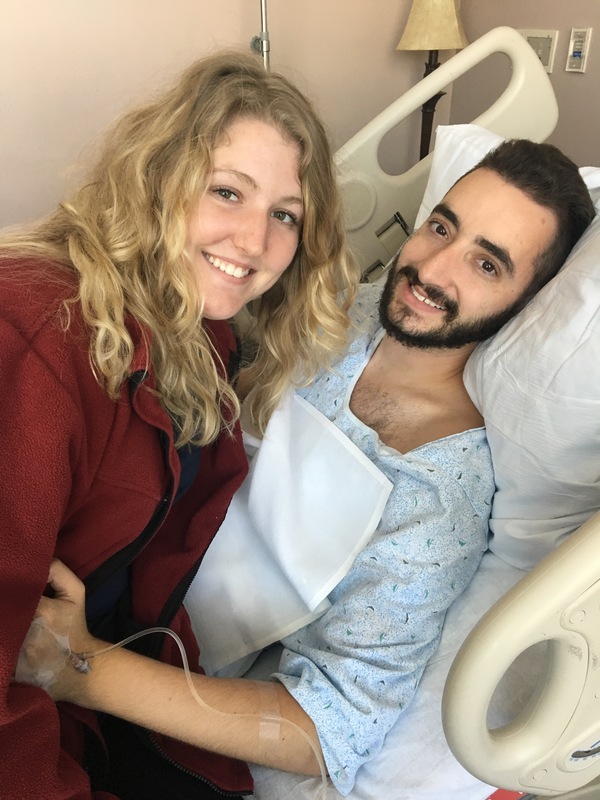 Bryan and I decided since we couldn’t control anything else, we would transfer a boy and a girl at one time to increase our chance of success and to try not to have to go down this very expensive and exhausting road of In Vitro again. Of course you know the end of this story is happy. We are 6 weeks away from meeting our beautiful little boy. But what you don’t know is how much I have learned to accept what I can’t control and not be afraid of the unknown. When I found out Bryan and I would have to go through In Vitro because we both were the problem, I felt like I would never be a suitable home for a baby. I was instantly defeated and helpless knowing that I might not be able to carry a child for us. Fortunately our journey unfolded on the positive side of this science based, medically altered pregnancy. And even though most people are scared of what we went through or question what we did, I wouldn’t change a thing about the way we got to create a beautiful little someone, together, named Rhys. You’re very welcome I will go check it out! Struggles shape who we are as a person. And even when I haven’t met you in person I can still say how strong and courageous an individual you are. More power to you girl! Thank you so much! I definitely agree that struggles make us who we are. And without struggle we can’t fully appreciate the big picture. Hi! I just wanted to let you know I nominated you for the Liebster Award! If you decide to accept it you can find out more information through my post here! Ohh! Wow…I’m honoured! Thanks…It will be my pleasure to accept it. I’ll look through your post and revert to you again! You’re absolutely welcome! So glad you accept! I look forward to seeing your post. My hope for my children was that Mom and I could raise them up to be loving, caring, productive and successful people who could contribute to the greater good of humanity thru there passion and concern for all of our future. And that my children could know peace and harmony thru it all unlike that which I have had to endure to get where I am today.